ECC Resident Scott Lautenbaugh returns to the unicameral for his 2nd term. The Omaha attorney and father of three defeated Carl Lorenzen of Blair in the November General Election. The incumbent state senator who represents the 18th Legislative District, which encompasses Douglas County and part of Washington County, garnered 58% of the vote to Lorenzen’s 42%. 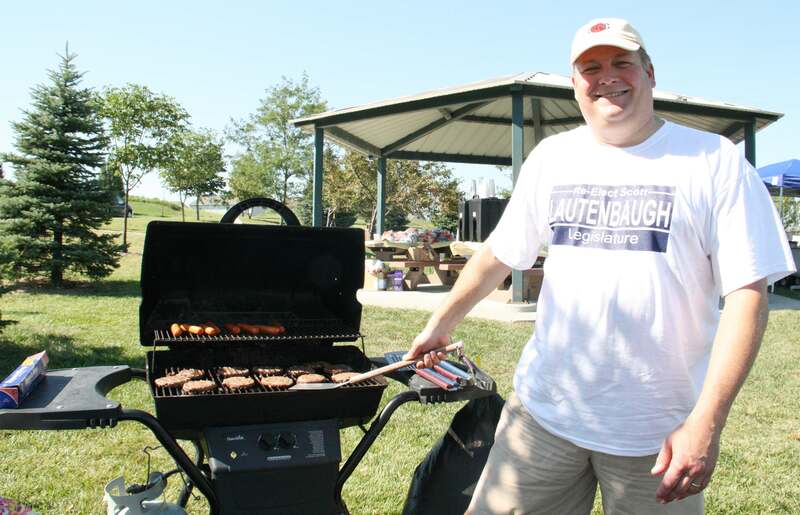 Don’t count on Lautenbaugh running for re-election in the Unicam in 2014. Lautenbaugh would have to take his political ambitions elsewhere. Nebraska law bars senators from serving more than two consecutive four-year terms, although he could return after sitting out one term. Voters approved the term limit constitutional amendment at the 2000 ballot box. Did you know? Nebraska is the only state* with a single chamber unicameral (uni defined as one) form of government, and is nonpartisan (no “formal” association with a political party). Forty-nine senators represent roughly 35,000 people each. The Unicameral system’s principal advantage is efficiency and reduced costs, since it doesn’t take the approval of two Legislative chambers of government to make a bill law. Previous Coats, Gloves & Love On! Next ECC Kids for Hire!